When newly trained midwife Jenny Lee arrives in 1957 London’s East End, she quickly discovers her living and working conditions are different from anything she has ever encountered. How will Jenny adjust to her new career in a community of colorful characters? 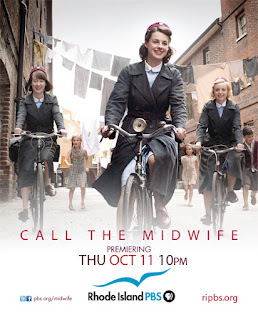 Call the Midwife is a moving and intimate insight into the colorful world of midwifery and family life in 1950s East London. We discover the eclectic, poverty-riddled community through the eyes of young nurse Jenny Lee as she arrives at Nonnatus House to live and work as a midwife with an order of nuns. As Jenny comes to terms with her new life, we meet some phenomenal people who prove that their warmth, resilience, and determination are to be admired beyond measure. At the heart of this world are the Sisters of St. Raymond Nonnatus who have been active in the East End as Anglican nursing nuns since the beginning of the 20th century. The Sisters and the midwives of Nonnatus House carry out many nursing duties across the community. However, with between 80 and 100 babies being born each month in Poplar alone, their primary work is to help bring safe childbirth to women in the area and to look after their countless newborns. Starring newcomer Jessica Raine as Jenny, the cast includes Jenny Agutter, Pam Ferris, Miranda Hart and Judy Parfitt. Three other new faces, Helen George, Bryony Hannah and Laura Main complete the regular ensemble cast. Vanessa Redgrave provides the narration as the mature Jenny. Call the Midwife airs for six Thursdays on Rhode Island PBS at 10 P.M., beginning on October 11. Watch the preview clip below, but please disregard the national air date.